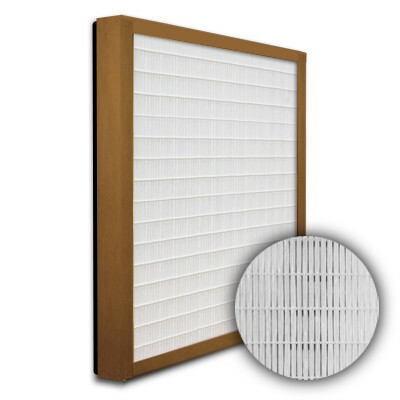 12x12x2 SuperFlo Max DOP Particle Board Gasket Down Stream Mini Pleat | Air Filters, Inc.
Air Filters, Inc.™ SuperFlo Max™ DOP 12x12x2 Particle Board Frame Mini Pleat Filters offer the perfect upgrade to rigid box filters with compact design and higher return on investment. Extending the media surface area offers economical high efficiency and lower pressure drop configuration resulting in lower energy cost and longer filter life. 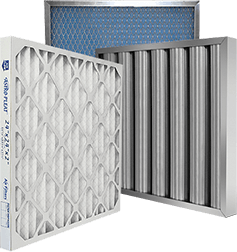 Air Filters, Inc.™ SuperFlo Max™ Mini Pleat Filters are completely sealed within the frame to eliminate air bypass and supports are bonded to media pack for rigidity. * DOP Mini Pleat filters media is completely sealed within the frame. * DOP Mini Pleat filters non-shedding, gradient density media.